With over one third of British skiers and snowboarders heading to France each year for their winter break, it has been estimated that over 150,000 Britons now live in France and that up to half a million own second homes in this very beautiful country. All ensuring the love affair with French Property is very much still alive. The French Property market has always been incredibly strong, appearing time and again at number 2 in the top 10 places to purchase list, behind Spain, complied by the likes of Prime Location and A Place in the Sun. This is thanks in part to property still being good value for money and having strong travel connections to France from the UK, via road, rail, air and sea. 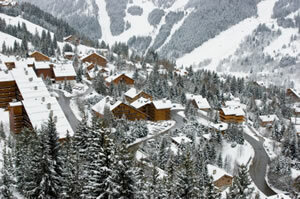 For the skier or boarder looking to purchase a ski apartment or a ski chalet for sale in France, why go anywhere else? The country offers the biggest lift and piste network in the world, with some of the most challenging and difficult skiing to be found anywhere. 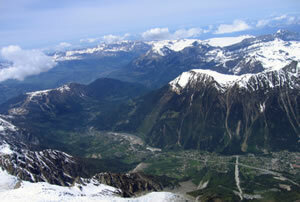 Of the 31 French airports recorded in 2007 offering flights direct from the UK, the main 3 airports servicing the French Alps and regions of the SAVOIE and HAUTE SAVOIE are Geneva, Chambery and Grenoble, where flights can be very inexpensive and allow easy access to second homes. From Geneva airport to Morzine is just 70 minutes, while Lake Annecy from the same airport can be reached in just 40 minutes. Some resorts that include La Plagne, Flaine, Les Arcs and Tignes have been purpose built at high altitude to provide buyers with a long season, good, reliable snow conditions and offer property directly on the piste. In addition to these purpose built locations, many of the French Alp resorts such as Morzine are based around traditional villages. Megeve in particular, with its medieval heart is a charming and impressive little town that recently usurped Courchevel 1850m, as the most expensive resort in France, yet has retained its warmth and charm. It is still possible to find smaller and less well known villages where prices are more modest though. Unlike the apartment blocks built in the 1960’s that were cramped and ugly, developers throughout the French Alps are now building more luxurious, comfortable and stylish apartments and chalets to meet the requirements of the new wave of discerning second home owners. 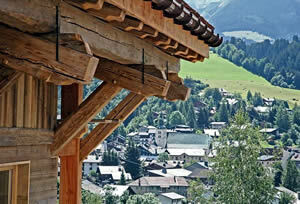 With an office in the French Alps and working with local chalet builders and developers, Alpine Property Investments specialise in both CLASSIC French property purchase (luxury chalets, new builds, land, farms, apartments, renovations, and commercial premises), together with a wide range of LEASEBACK property purchases, throughout the HAUTE SAVOIE/SAVOIE regions of France. We have an extensive array of French properties for sale throughout the best resorts in the French Alps, including a wide selection of apartments and chalets. For more information on individual resorts please refer to our Resort Guides. Whether you are looking for a small studio apartment under 100,000 Euro’s or a luxury chalet on the piste in Meribel, Megeve or Courchevel, we’re here to help. The French property for sale, listed on this website provide just a small "taster" of what we have currently available. If you have not seen anything you like, or we don’t currently have any listings in the resort you are interested in, we are pleased to offer a free Property Search service. Just simply complete the Enquiry Form and we will get back to you.